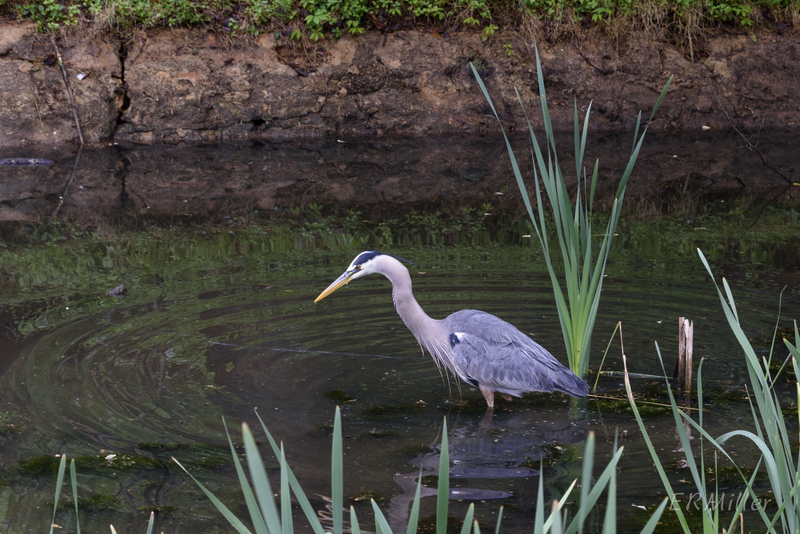 The great blue heron (Ardea herodias) is a large bird that lives year round in most of the continental US (excepting the desert southwest and the Rocky Mountains). It can stand up to 54 inches tall, and is most often seen wading in shallow water looking for fish, or flying low along streams, or on older Maryland license plates (“Treasure the Chesapeake”). In the air the silhouette is unmistakable. 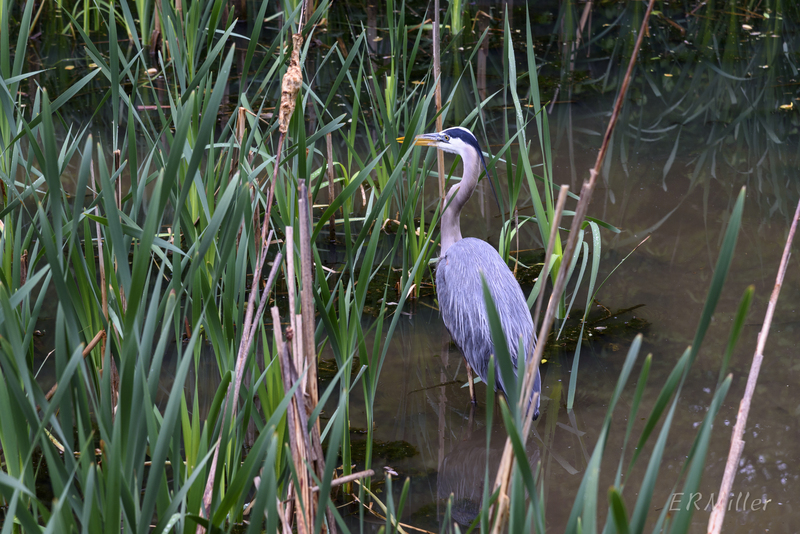 One morning in early May I saw eight of them among the cattails in the C&O Canal. A benefit to going out in cool and misty weather is that there are fewer joggers and bikers coming along and spooking the birds. I had a good long time to watch and snap pictures of these beautiful creatures. 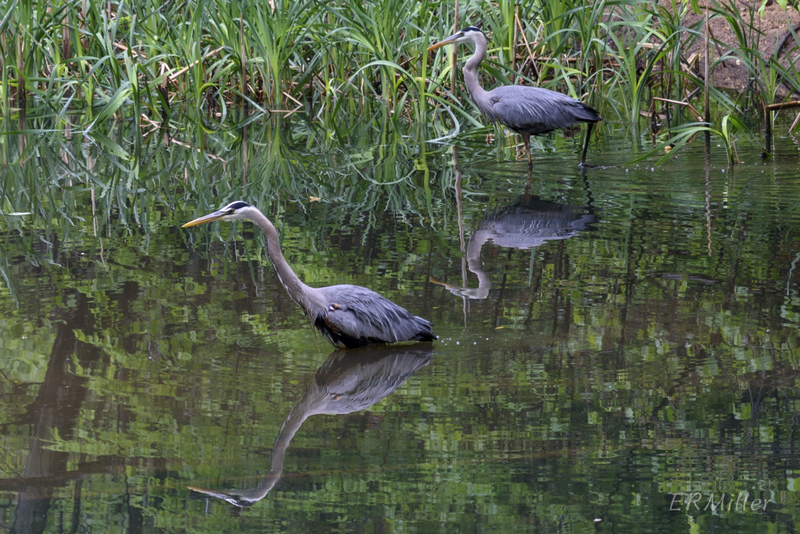 This entry was posted in Uncategorized and tagged C&O Canal, great blue herons by elizabeth. Bookmark the permalink.